In the period from 2004 till 2013 the Drug Enforcement Agency (DEA) and the New Mexico Environmental Department (NMED) collected data on the location of Clandestine Meth Labs located in the state. This data was displayed in a table on the websites of both institutions. EDAC decided to process this data and display it on an interactive Web map. The first step was downloading the data from the DEA and NMED websites. The tables were copied into Microsoft Excel, and were then converted to a CSV list file. By doing this we could import it into ArcGIS and work with the data. 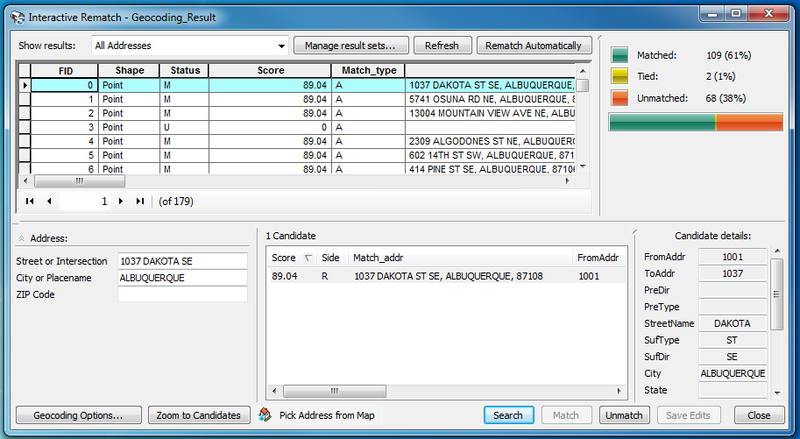 After importing the data, the next step was geocoding the locations. 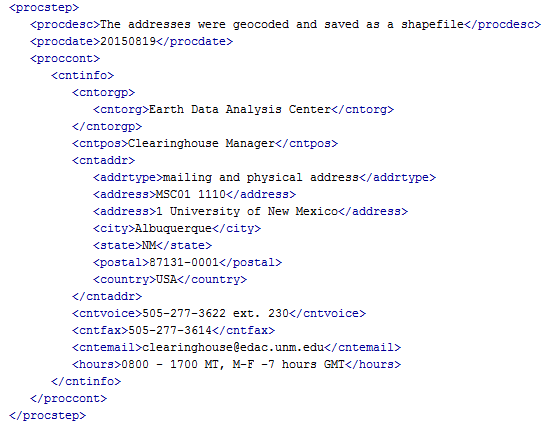 The geocoded data sets were saved as shapefiles (.shp) with UTM NAD83 projection. The next step involves updating the metadata of both shapefiles in oXygen (to make it FGDC Complaint) and describing all the process steps, references and sources.